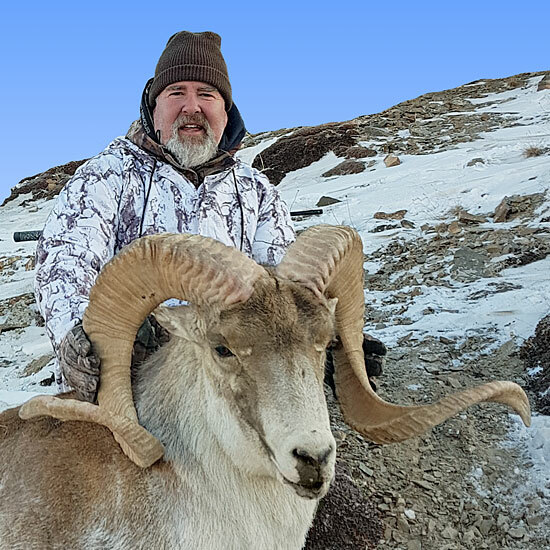 Our hunting guests are absolutely happy with the results of Marco Polo (Hume) Argali and Ibex hunting season in Kyrgyzstan where they enjoyed 100% success rate and took great trophies! Some of the hunters took 2 Ibex in one trip. ProfiHunt has been operating in Kyrgyzstan since 1990. That is a great hunting destination allowing you to combine Argali and Ibex in one trip. Unfortunately there is a reason to believe that hunting in Kyrgyzstan will be closed in 2020. A draft law has been already submitted to the Parliament, and it is strongly supported. If you have been having Marco Polo Sheep and Mid-Asian Ibex hunting in your list, we encourage you to get it booked for 2019 as soon as possible. All of our hunters who have booked hunt in Kyrgyzstan for 2020, rebooked for 2019. We hope to see you in Kyrgyzstan in 2019 with ProfiHunt!